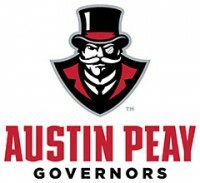 Ashleigh Woods | Clarksville Sports Network - Clarksville Tennessee's most trusted source for sports, including Austin Peay State University. 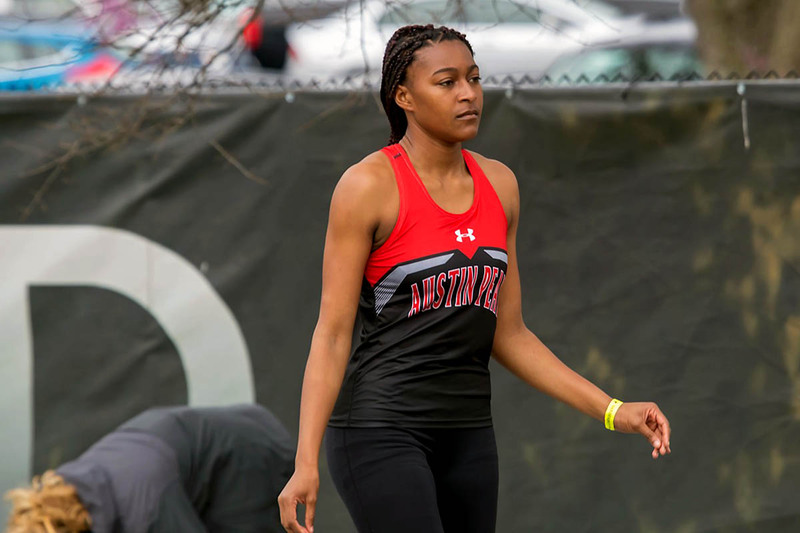 Clarksville, TN – In its annual home meet, Austin Peay State University track and field enjoyed some dominating performances, with several student-athletes advancing their standing both in the conference and in the region with spectacular efforts. Home meet or not, one place where it was business as usual was the pole vault pit, where junior Savannah Amato won handily with a 4.01m (13-1.75) mark. Both freshman Morgan Bradley and junior Dascha Hix reached 3.86m (12-8.00), with Bradley sharing second and Hix fourth based on attempts. 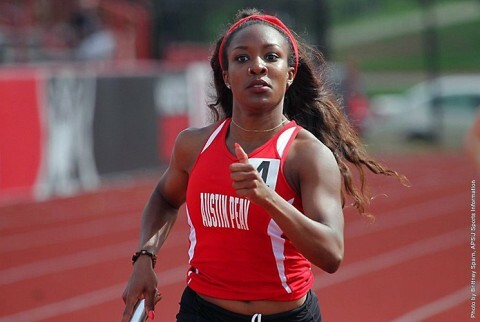 Clarksville, TN – Austin Peay State University track and field hosts the annual APSU Invitational, a one-day event scheduled for a 10:00am, Friday, start at Fortera Stadium. 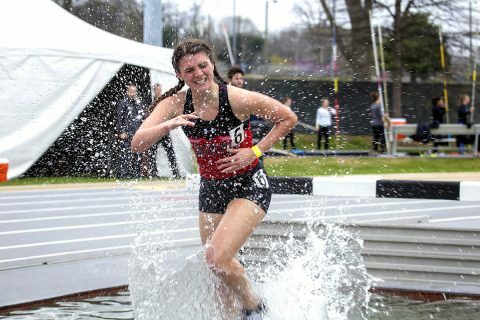 With inclement weather scheduled for Saturday, the traditional two-day format was altered in order to expedite a full Friday of competition. Clarksville, TN – A split group will represent Austin Peay State University track and field at a pair of events this weekend, with the Govs slated to have athletes in action at the Joey Haines Invitational, hosted by Southeast Missouri, and at the prestigious Florida Relays in Gainesville, Florida. The group making the journey to Florida is small but features some of the most acclaimed student-athletes Austin Peay has produced over the years. 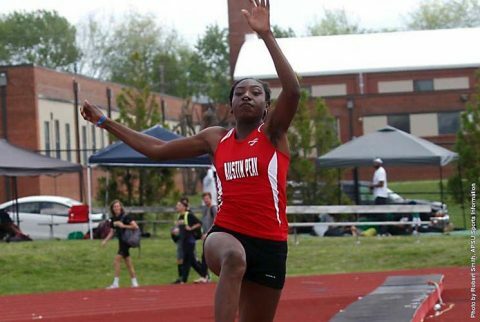 Clarksville, TN – Outdoor season gets underway for Austin Peay State University track and field this weekend at the Coastal Carolina Invitational, hosted at Doug Shaw Memorial Stadium in Myrtle Beach, South Carolina. 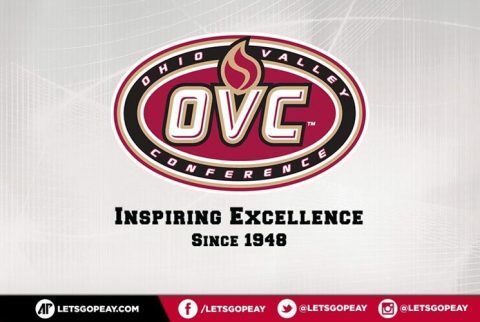 Brentwood, TN – Eighty-eight Austin Peay State University student-athletes were named to the Ohio Valley Conference Commissioner’s Honor Roll, Friday, following the 2016-17 academic year. Student-athletes must have achieved a 3.25 grade-point average, were eligible and on the team throughout the competitive season in their chose NCAA-sponsored sport(s) and used a season of competition in that sport. 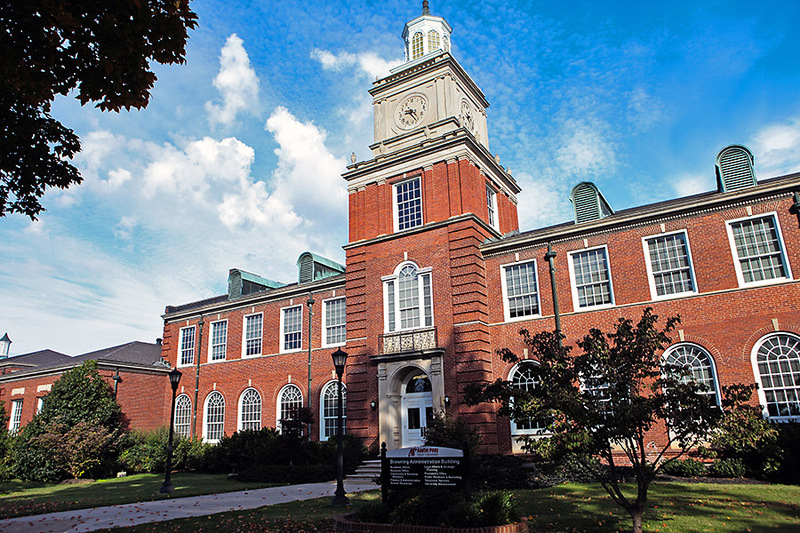 Austin Peay’s numbers include 22 athletes who competed in multiple sports during the season and are counted just once in the department’s total. 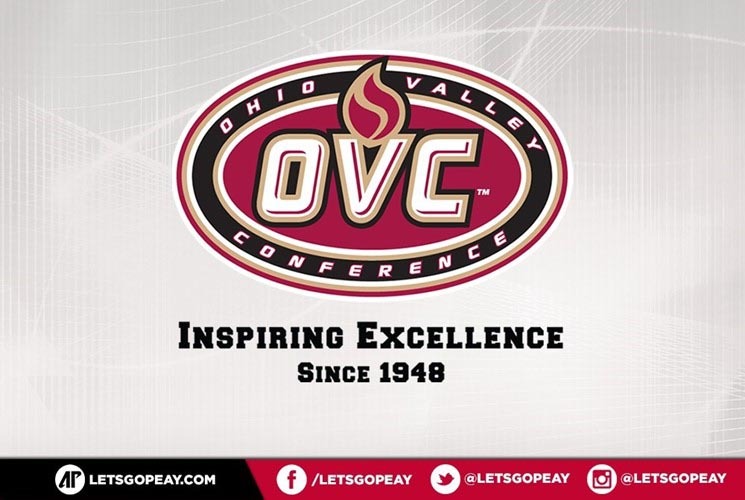 Brentwood, TN – Austin Peay State University (APSU) student-athletes accounted for 103 of a record 1,335 student-athletes named to the 2015-16 Ohio Valley Conference Commissioner’s Honor Roll, announced Wednesday by the conference office. 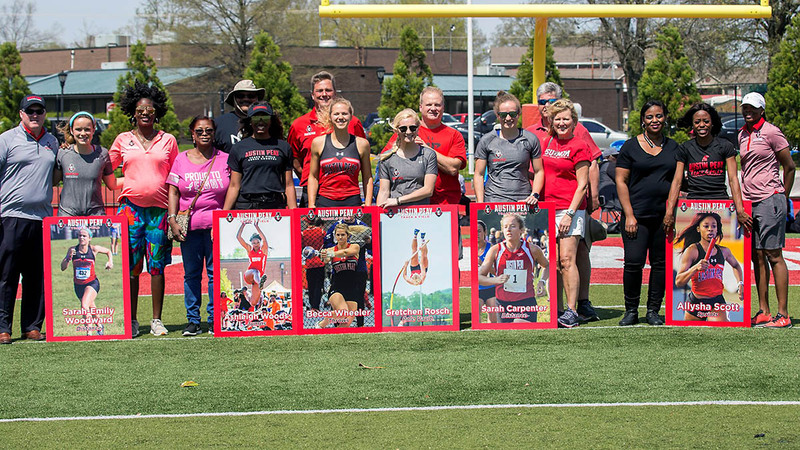 Clarksville, TN – Over half of Austin Peay State University’s student-athletes received academic recognition following the recently concluded spring semester with the department announcing its student-athletes posted a 2.91 grade-point average. 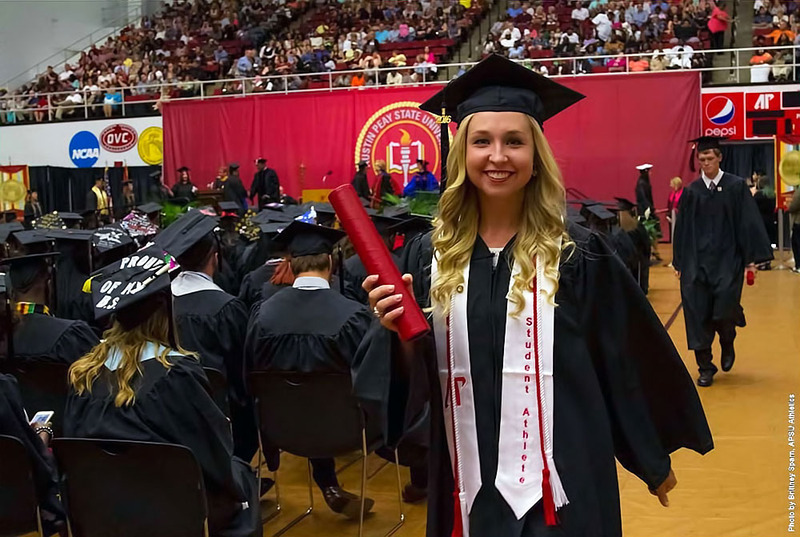 The department saw 170 student-athletes named to the Athletics Director’s Honor Roll, each earning a minimum 3.0 GPA during the semester. The athletics department saw 84 student-athletes named to Austin Peay’s Dean’s List and 34 of those were recognized on the President’s list, each posting an unblemished 4.0 GPA. 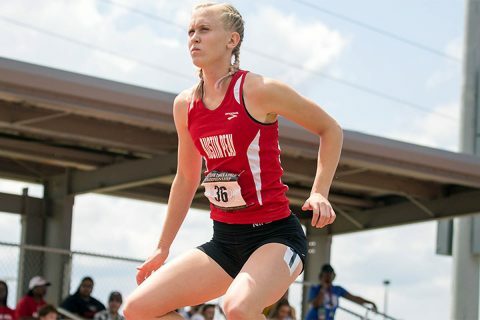 Clarksville, TN – In the final weekend of competition before the 2016 Ohio Valley Conference Outdoor Track and Field Championships, several Austin Peay State University student-athletes will enjoy a homecoming of sorts at the Memphis Invitational, hosted by the University of Memphis at the Murphy Sports Complex. Clarksville, TN – Austin Peay State University’s women’s indoor track and field team may not be the favorite heading into the Ohio Valley Conference Indoor Championship, on February 26th and 27th at the Gentry Center on the campus of Tennessee State, but they have to be considered a dark horse to make a run at the title. 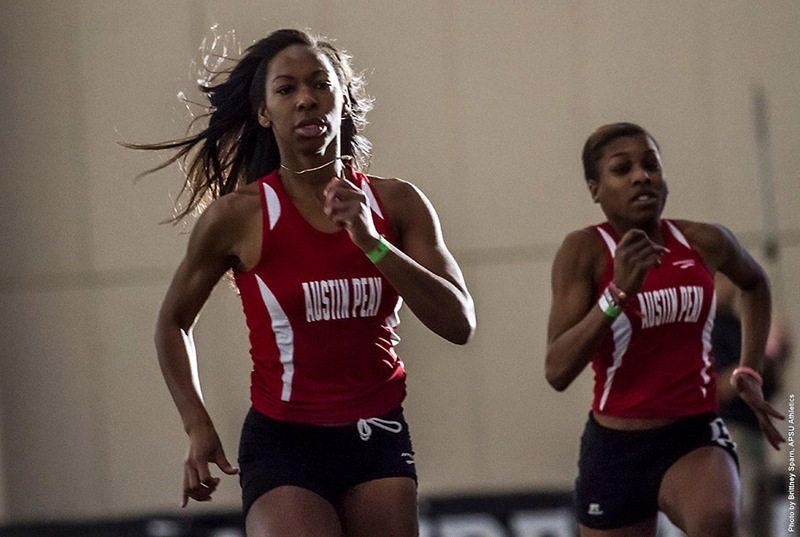 The Lady Govs finished a respectable fifth place at the 2015 Indoor Championships, but enter this week’s championship with a deeper roster than last season’s team and with more personal capable of scoring points in more events – a key to winning a conference championship.